The Chicago Architectural Club announced the winners of its 2014 Chicago Prize Tuesday, awarding five honors to speculative proposals for Barack Obama’s Presidential Library. 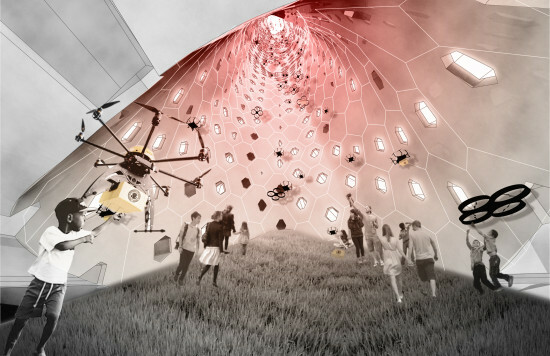 Peace signs, notions of community ownership, and even drones enlivened the conceptual debate swirling around a closely watched project already wrought with its own political complications. 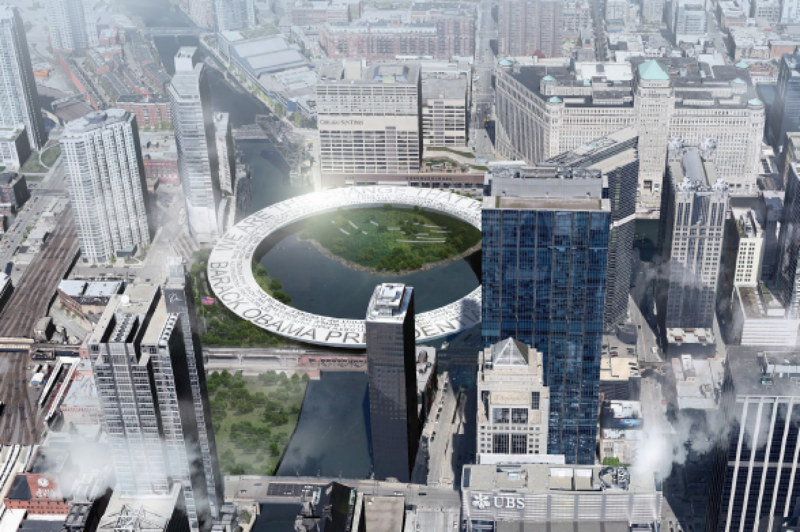 Organizers said during a public unveiling Tuesday evening at the Chicago Architecture Foundation that they had received 103 submissions. Entrants were asked to sketch up concepts for the library on a site at the confluence of the Chicago River—one which is already home to a 53-story tower by Goettsch Partners, currently under construction. When CAC announced the topic in November, several potential library sites for the actual library had already been identified. 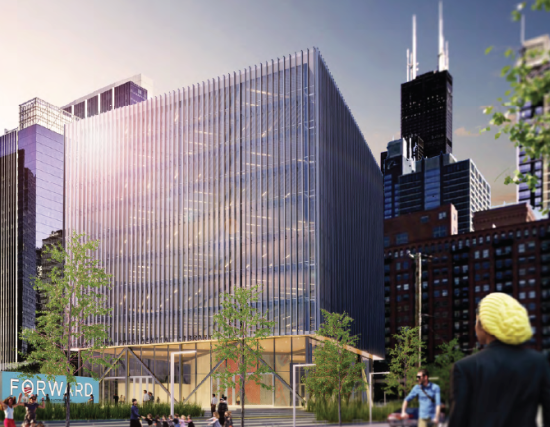 Their locations—in and around the University of Illinois Chicago and University of Chicago campuses—exacerbated frictions between public space advocates, community residents and local politicians who would later agree to commit acres of Washington Park to the library developers. In 2012 the prize touched on another hot topic: the imminent demolition of Bertrand Goldberg‘s Prentice Women’s Hospital. Despite the neutral site, winning proposals provoked debate on some political issues. Honorable mentions went to two projects in addition to the drone aviary: Drew Cowdrey and Trey Kirk; and Dániel Palotai. Cowdrey and Kirk proposed “a mobile library” of portable galleries and collections that could be loaned for tours and community exhibitions, housed in a Miesian “crate” on the downtown site. 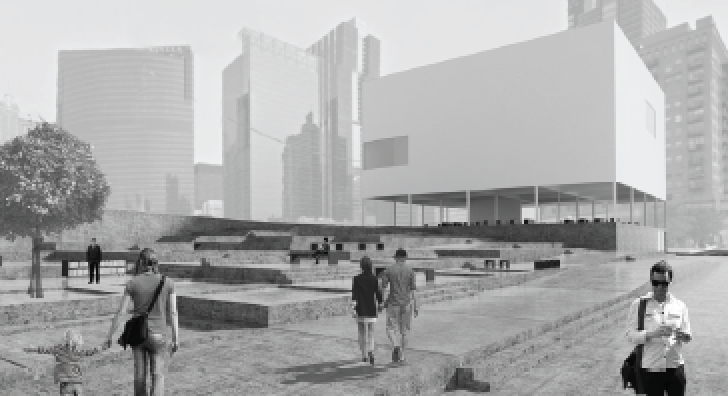 “As the production of architectural narrative intervenes and conditions the visitor’s experience, we have chosen to liberate the archival core from its vernacular wrapper—recasting it as a naked and autonomous urban figure,” reads their proposal brief. Palotai’s black-and-white proposal outlined an elegant series of spaces “between sky and ground” intended to speak of flexibility, personal interactions and community authorship of what could start as a series of blank canvases. SOM donated the prize money, a total of $3,250. The jurors were: Elva Rubio, Stanley Tigerman, Brian Lee of SOM, Andy Metter of Epstein, Geoffery Goldberg, and Dan Wheeler of Wheeler Kearns. 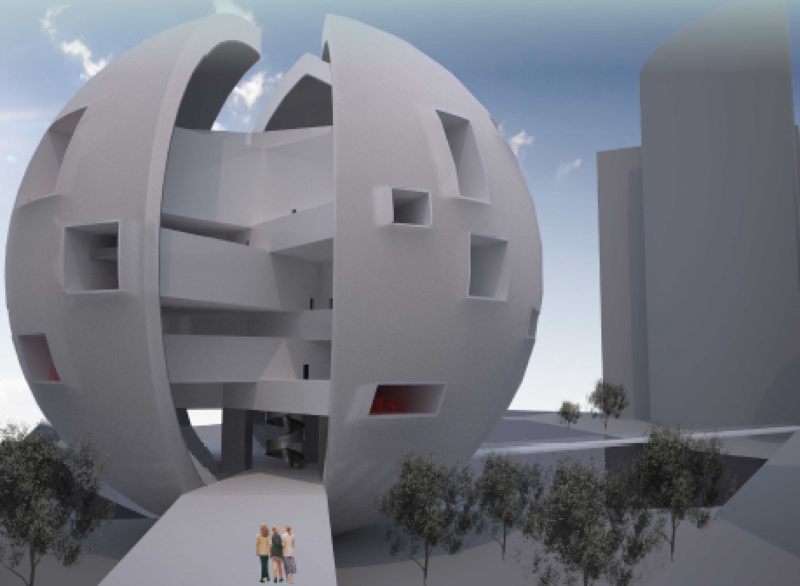 Chicago Architectural Club has details, full proposal PDFs, and a video of the awards ceremony on their website.